Indian Motorcycle is proud to announce its 2017 Wrecking Crew made up of three all-star riders – Jared Mees, Brad Baker and Bryan Smith. 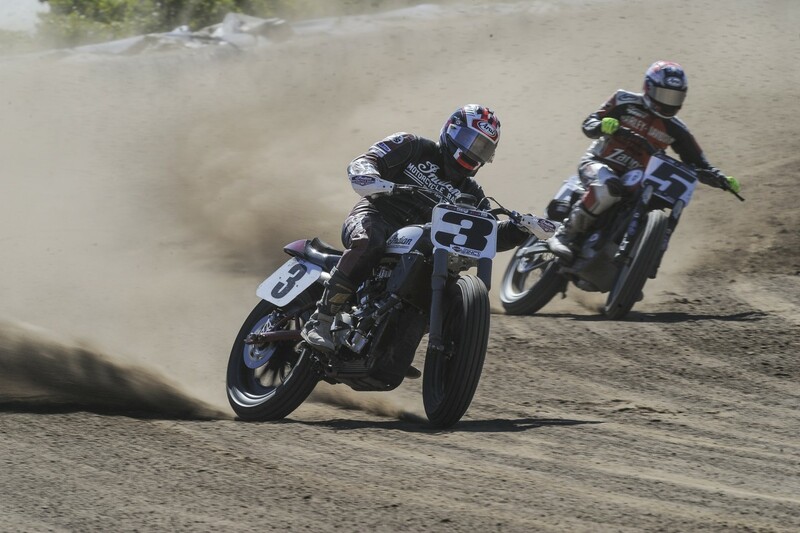 Named after the famed Wrecking Crew of the 1940s and 1950s, these three top riders will make history in 2017 as Indian returns to AMA Pro Flat Track racing with its first factory racing effort since 1953. The three riders were announced at the American Motorcyclists Association Flat Track Awards banquet following the Ramspur Winery Santa Rosa Mile AMA Pro Flat Track race in Santa Rosa, California. “Flyin” Bryan Smith, 33, from Flint, Michigan, began racing BMX at age six. He then moved to Flat Track and Ice Racing at age seven, and has been competing at the AMA Pro Flat Track Grand National Championship level since 2001, gradually climbing the ranks every year. 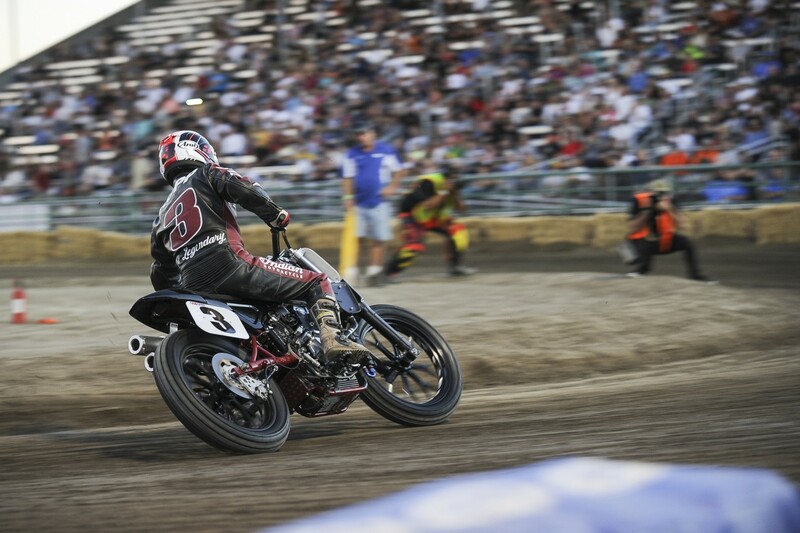 In 2015, Smith competed in his first X Games, winning gold in the Flat Track event. Smith earned his first Grand National Championship in the 2016 season. 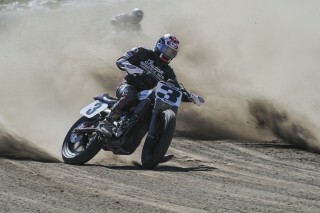 AMA Pro Flat Track Expert Grand National Champion Brad “The Bullet” Baker, 23, originally hailing from Dryad, Washington, is the third youngest Grand National Champion in the history of the sport. Baker won his first two career victories at the Hagerstown Maryland and Pomona California half-miles and was also the 2011 GNC Expert Rookie of the Year. Baker took a dominating win at the Santa Rosa mile. Ricky Howerton is the team manager for both Smith and Baker. 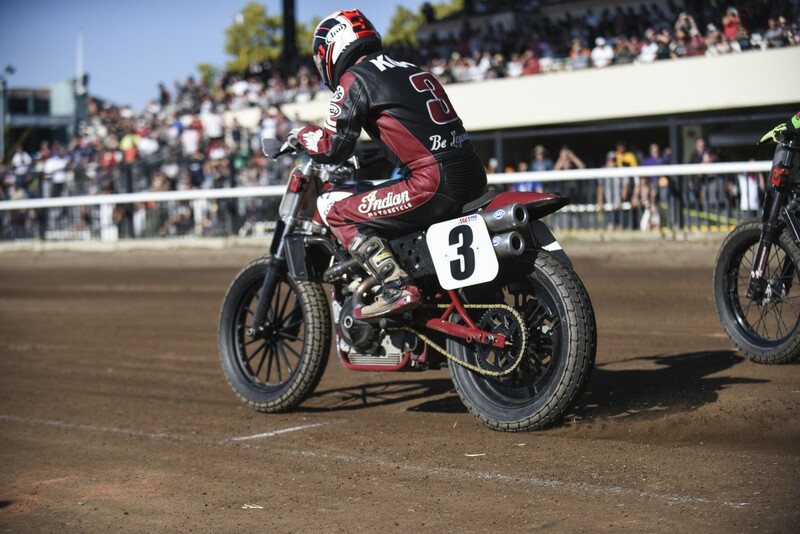 Multi-time AMA Grand National Champion Jared “Jammer” Mees, 30, won the AMA Grand National Twins Championship in 2009, the AMA Grand National Singles Championship in 2012, and the unified AMA Grand National Championship (GNC1) title in 2012, 2014 and 2015. 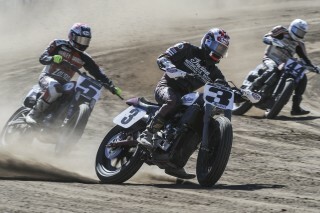 Mees also became a Gold Medalist in the X Games in 2016, won the Superprestigio of the Americas in 2015, and the Troy Bayliss Classic in 2014. Mees earned a second place in the 2016 season. 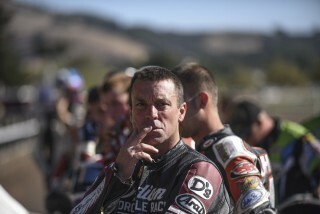 Mees’ race bike will be handled by legendary flat track tuner Kenny Tolbert. 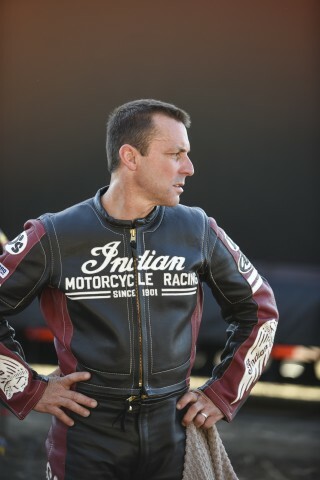 Having successfully developed a line-up of nine award-winning production motorcycle models, Indian Motorcycle has fully dedicated its resources to a successful return to AMA Pro Flat Track racing with a purpose-built new race-only engine, a clean sheet design race bike, and a world-class racing team that reflects the history and rich heritage of the brand. Indian Motorcycle was born out of competition and throughout its history has used racing to develop and improve the product as well as expand the appeal of the brand. The new Indian Scout FTR750 is powered by an all-new, race-only 750cc V-Twin that was developed in-house for professional flat track competition. 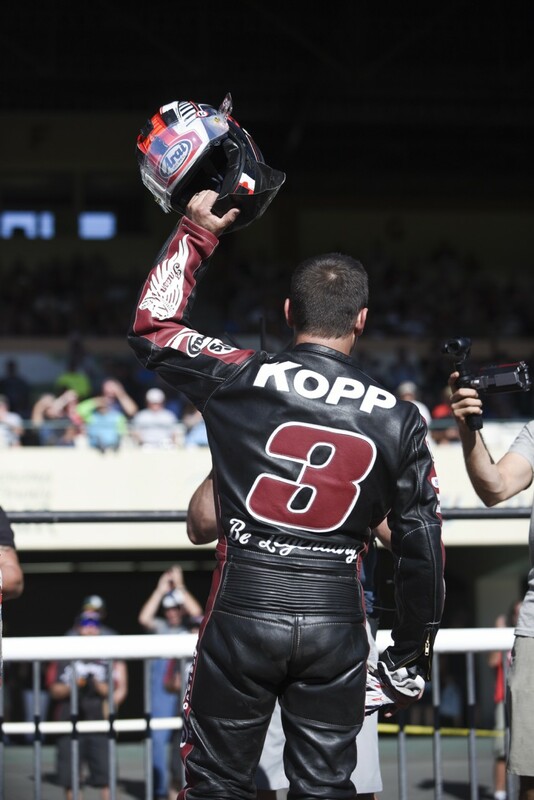 The chassis and overall design comes from the team at the Indian Motorcycle’s Medina, Minnesota headquarters with input from highly experienced race team personnel. 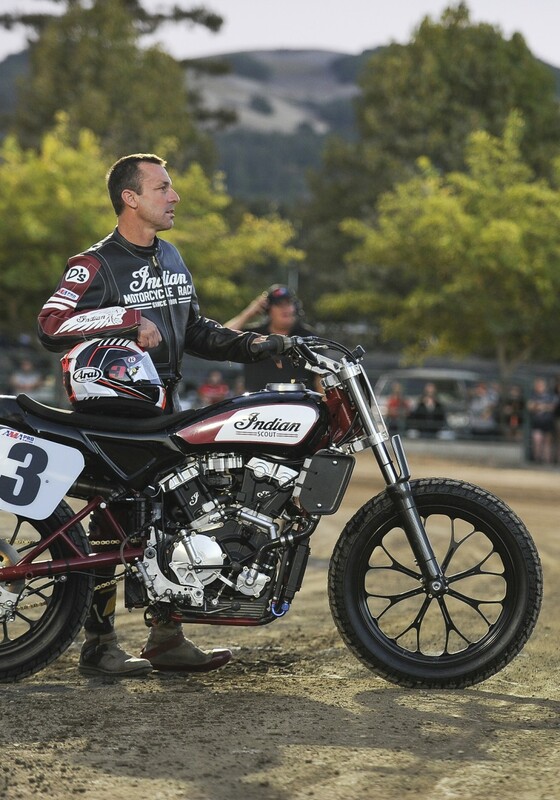 The #3 Indian Scout FTR750 was piloted in its debut by AMA flat track racing legend Joe Kopp on Sunday, September 25 at the Ramspur Winery Santa Rosa Mile AMA Pro Flat Track race in Santa Rosa, California. 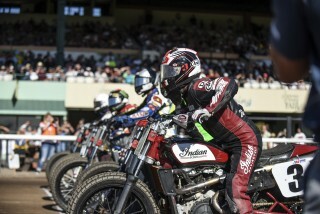 Kopp’s debut of the Indian Scout FTR750 was highly successful with strong heat races that put him on the inside front row for the final race. After quickly locking in his position in “the show” he attacked the Dash for Cash race and won. 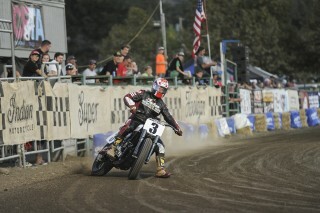 In the final race, Kopp took a holeshot when the green flag flew and led the first lap. Over the course of the race the rough track conditions slowed the veteran racer, yet he still earned a solid 7th place in the final.